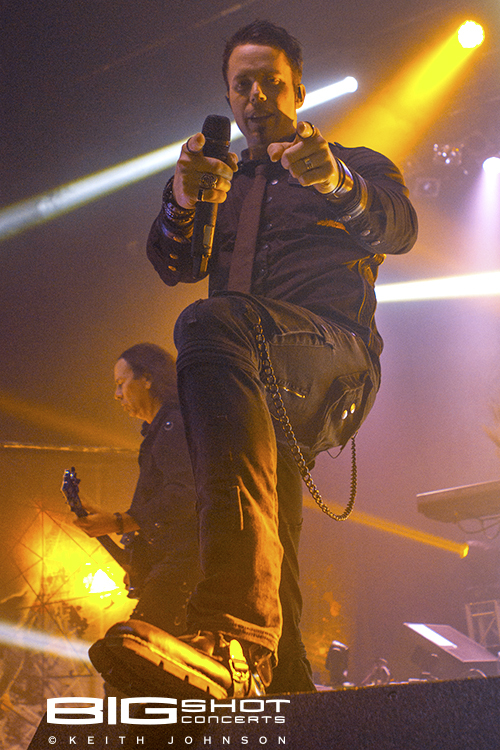 Progressive metal band Kamelot served up a hard-hitting set of tunes the night before Thanksgiving at the Royal Oak Music Theatre. 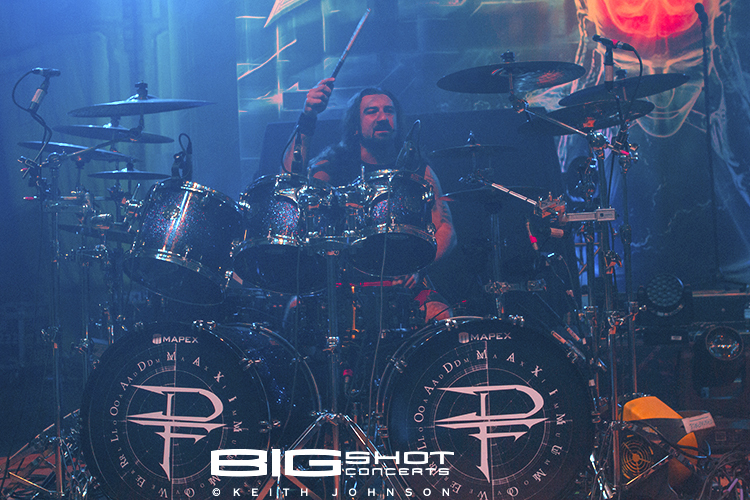 The Tampa rockers stopped off in Royal Oak, Michigan during part two of their Haven North American Tour 2015. 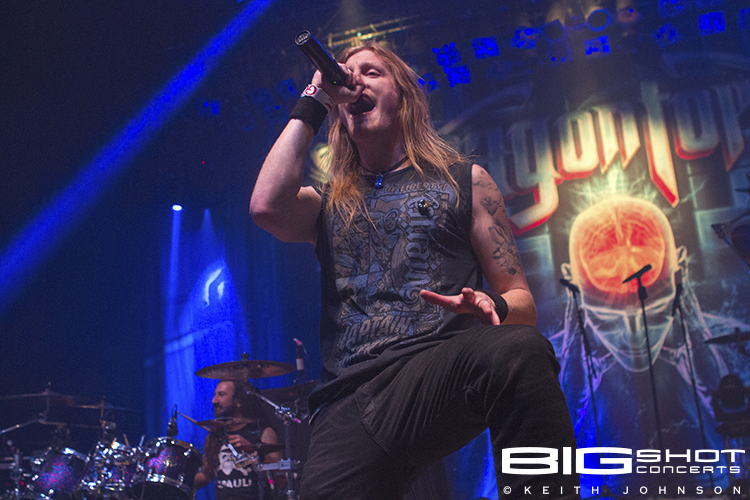 Also on the musical menu was DragonForce, who kicked off the evening with sizzling showmanship. 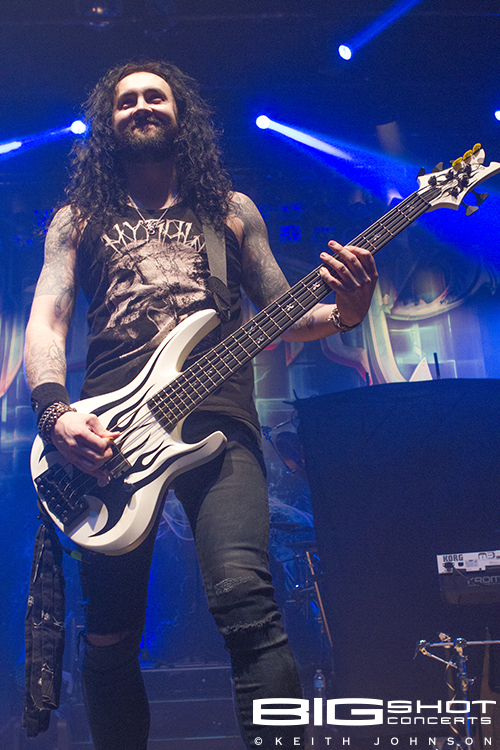 British metal powerhouse DragonForce is known the world over for epic live show experiences. 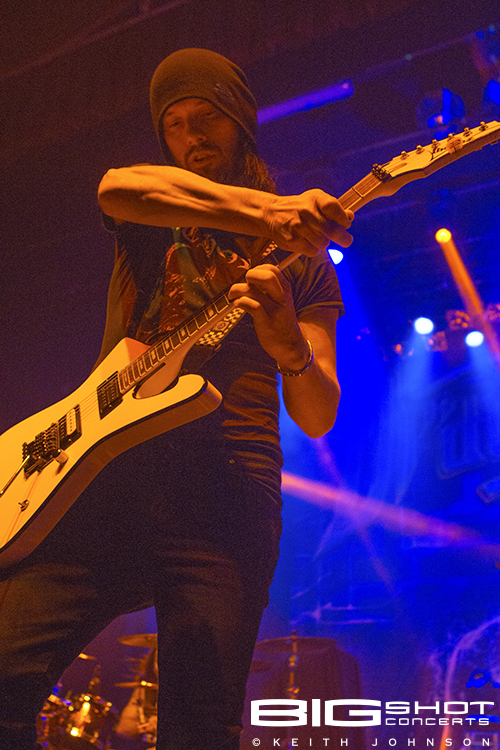 And when they played the Royal Oak Music Theatre on November 25, 2015, the band lived up to their reputation. 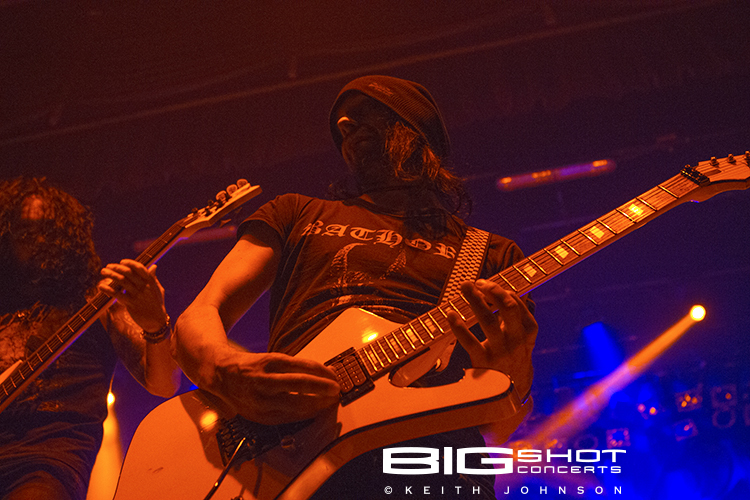 Founding members Herman Li and Sam Totman wasted no time engaging in an ax-slinging battle. 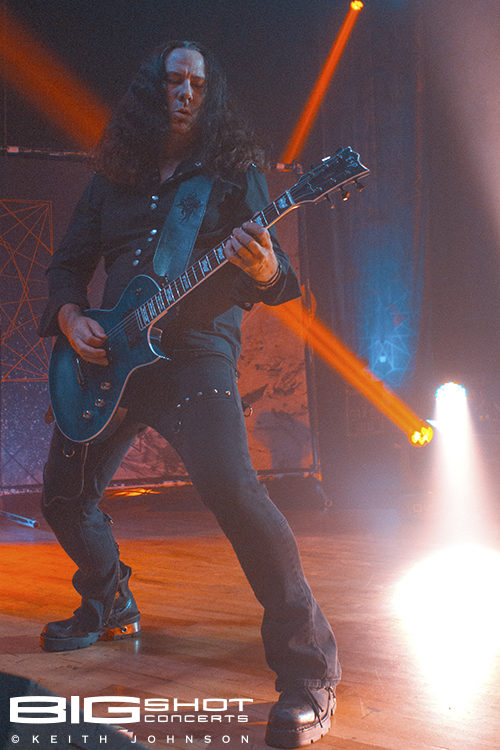 This double dose of guitar solos has become a staple at DragonForce concerts, highlighting the fast and furious fretwork of these six-string maestros. 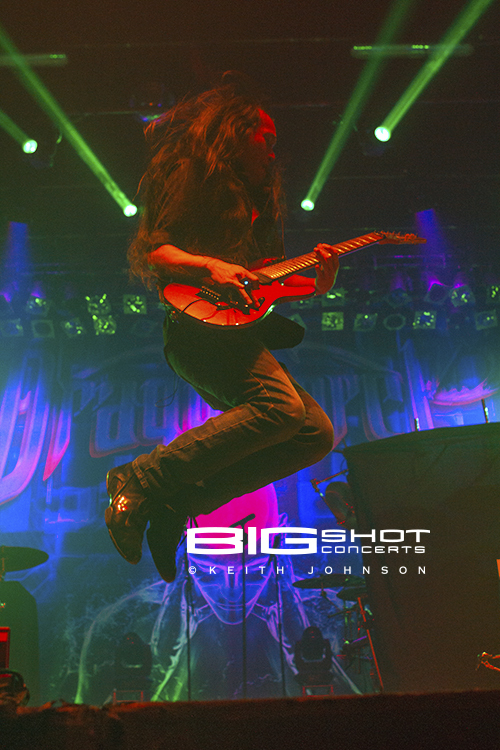 Herman Li also demonstrated that phenomenal aerial acrobatics and racing riffs can work in tandem. He even used his pick, fingers and tongue to get in multiple “guitar licks” throughout the night. 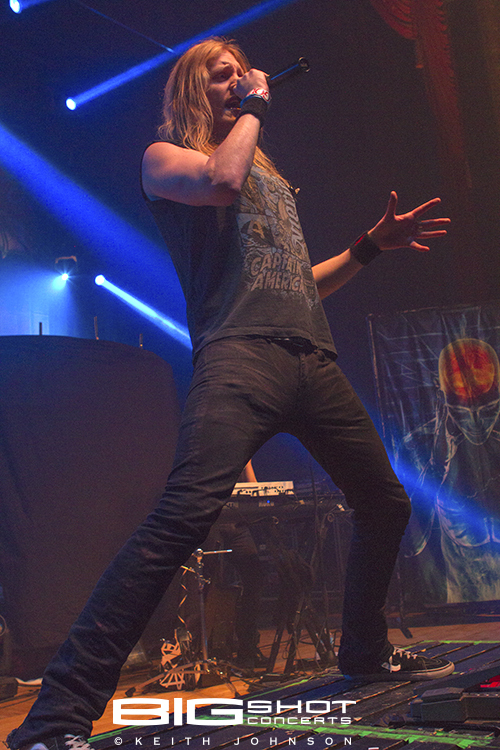 DragonForce vocalist Marc Hudson did a superb job of igniting the crowd as he belted out songs with fantasy-driven lyrics. 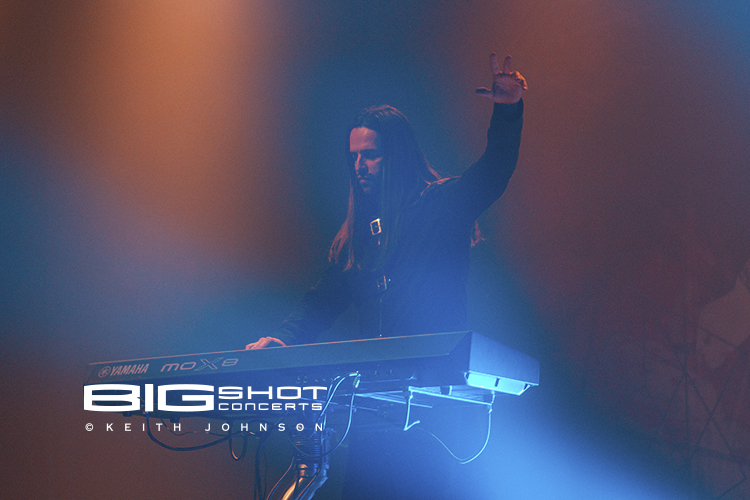 Though not an original member of the group, he proved that his mic skills were a perfect fit. 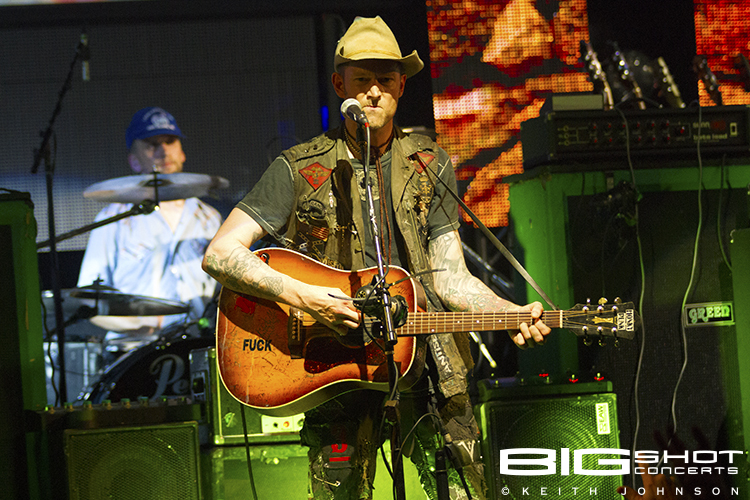 Though the vibe at the concert was decidedly upbeat, there was one somber moment. That being when Marc took time to remember a friend who lost his life during the tragedy at the Bataclan concert hall in Paris, France. 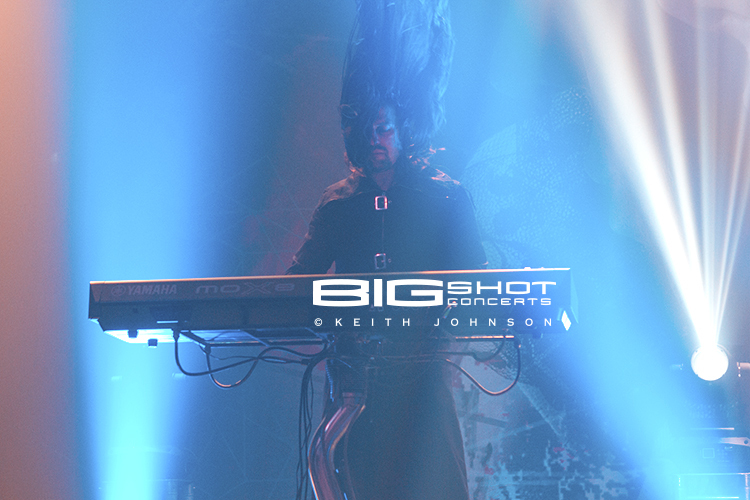 In keeping with the upbeat tempo and fast-paced action of the night, keyboardist Frédéric Leclercq wasn’t content to just play standing behind his stationary rig. 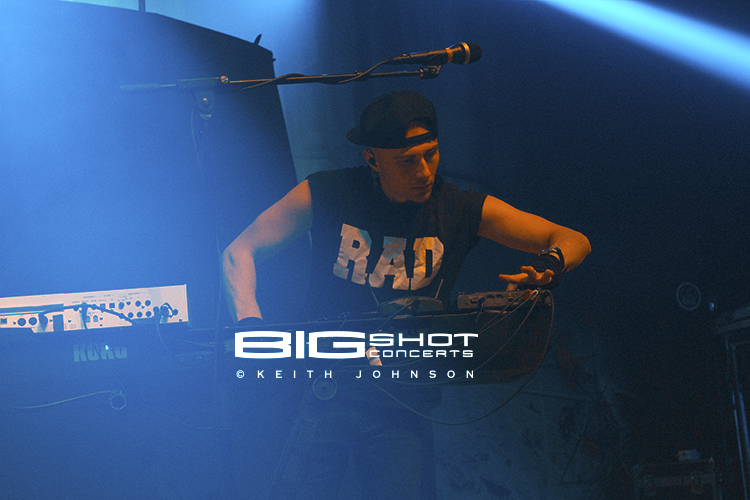 He threw a portable instrument over his shoulder so he could tickle the keys on the move and play for the fans pressed up against the barricade at the front of the stage. The rhythm section, featuring Vadim Pruzhanov on bass and drummer Gee Anzalone, held down the low end with perfect timing. Gee Anzalone delivered beats with precision intricacy while remaining a steady blur behind a sea of drums. Vadim Pruzhanov thumped and pounded his bass as he elevated his sound from atop risers situated at the front of the stage. 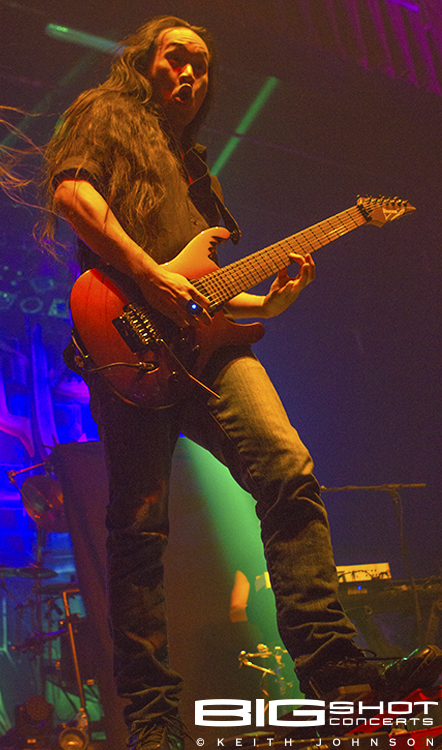 DragonForce closed the night with “Through the Fire and Flames.” It is their most successful track and widely popular with Guitar Hero gamers. 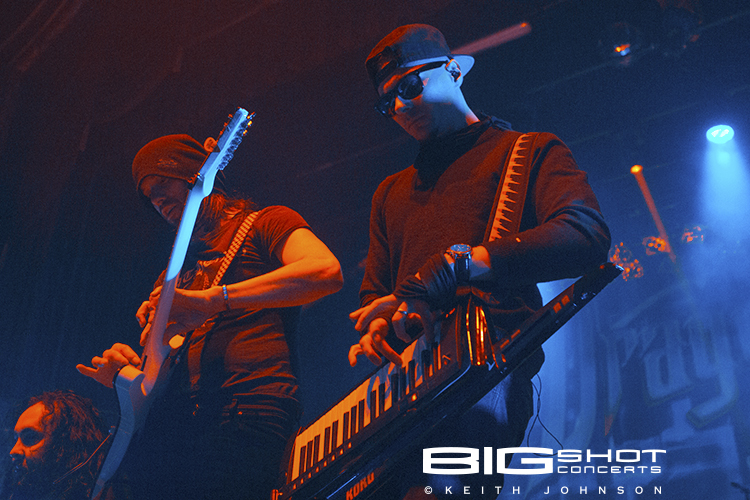 When Kamelot took the stage, the Royal Oak Music Theatre was filled to capacity with loyal fans from all across Michigan. The metal masters were there to hold rock and roll court, and there was little doubt that they were kings of the concert castle. Everyone in attendance got to hear exactly what made this group from Tampa, Florida famous: a complex blend of layered sounds, ethereal lyrics and melodic vocals. 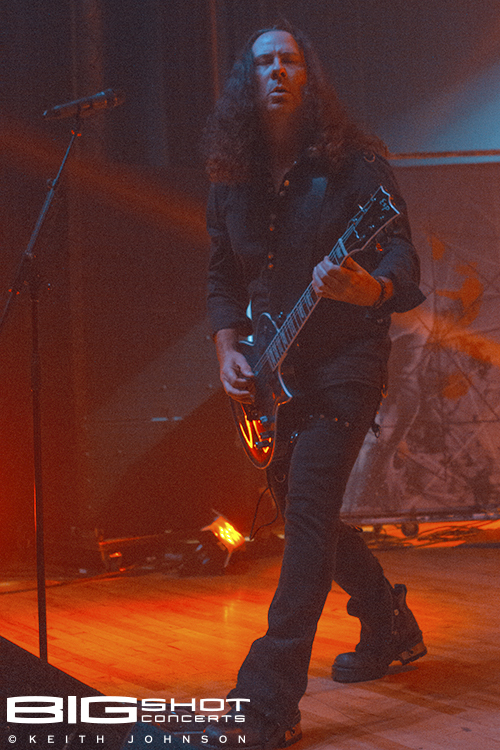 Guitarist Thomas Youngblood formed Kamelot in 1992. 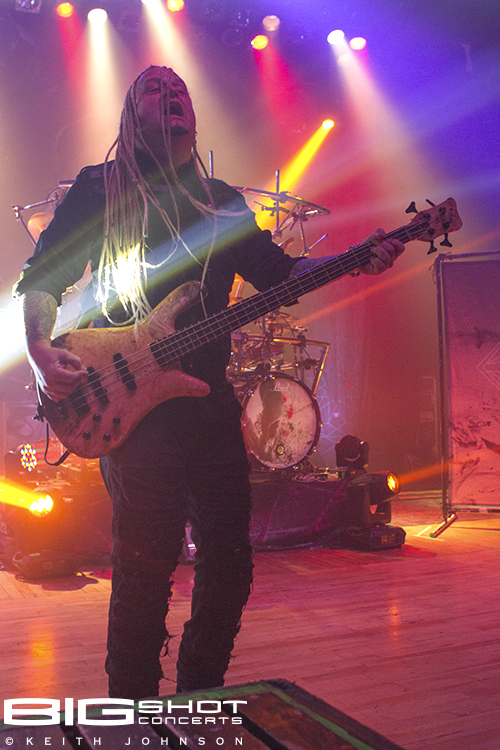 Despite frequent personnel changes, he has elevated the group to become one of the most recognized progressive metal acts of all time. On the night before Thanksgiving, he walked out on stage with one of the very best lineups to play live. 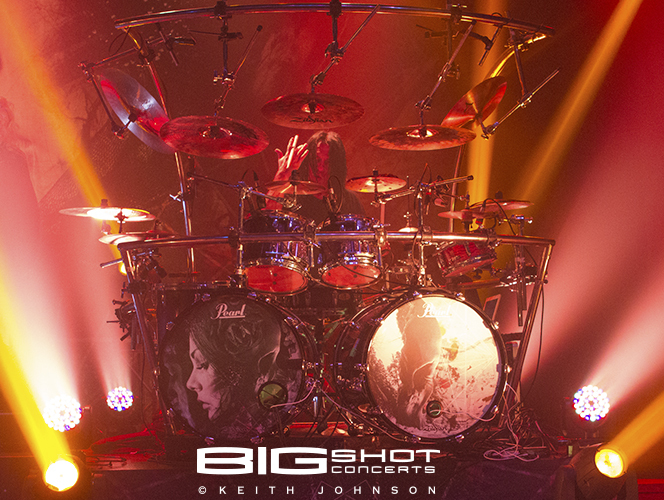 The band is out on the road in support of their Haven North American Tour 2015 Part II. 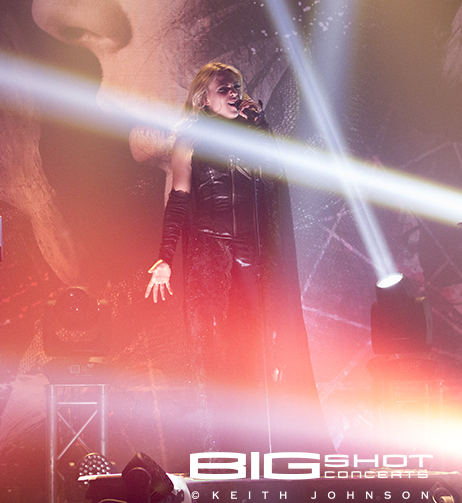 “Veil of Elysium,” When the Lights are Down” and “The Great Pandimonium” were played to open the Kamelot concert. 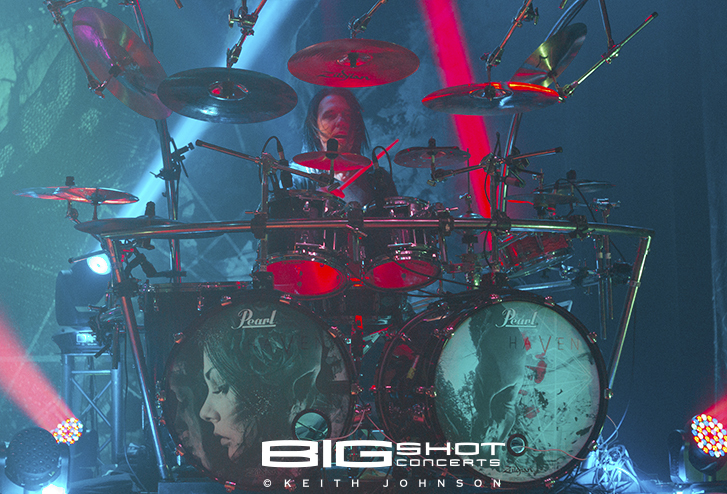 Under washes of red and blue lights, Kamelot played tracks from their latest album, Haven, along with tunes from an impressive career that includes 10 studio album releases. 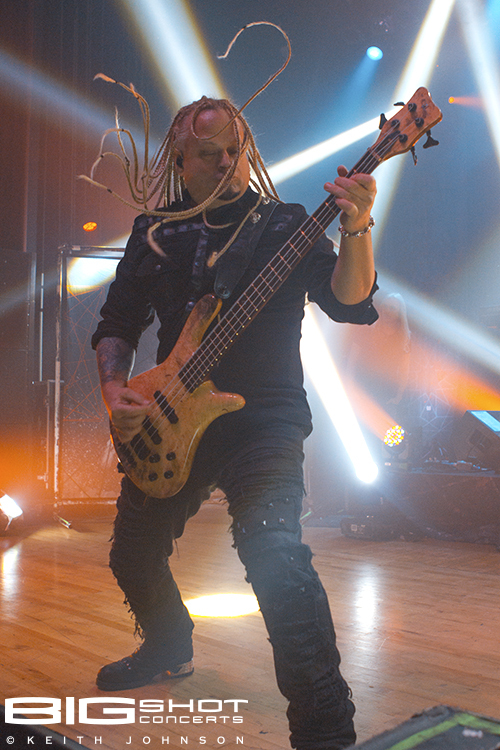 Thomas Youngblood unleashed monstrous riffs that screamed through the venue while Oliver Palotai made mystifying music from behind his keyboards. 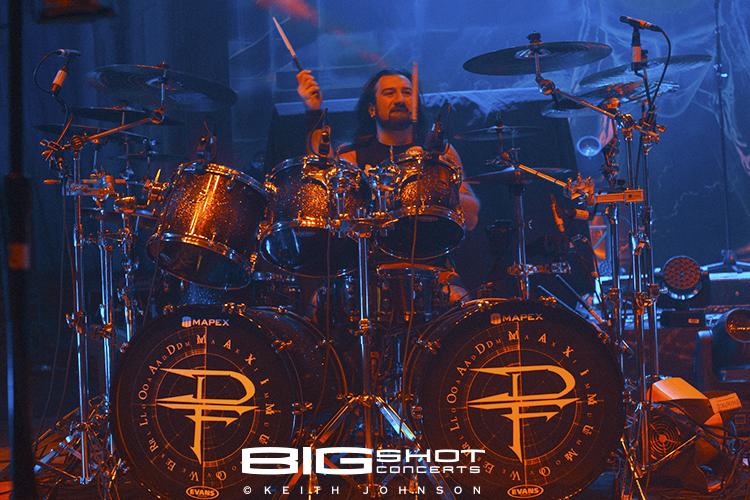 Stick man Casey Grillo laid down the beat on his drum kit with curvy, custom-made hardware. 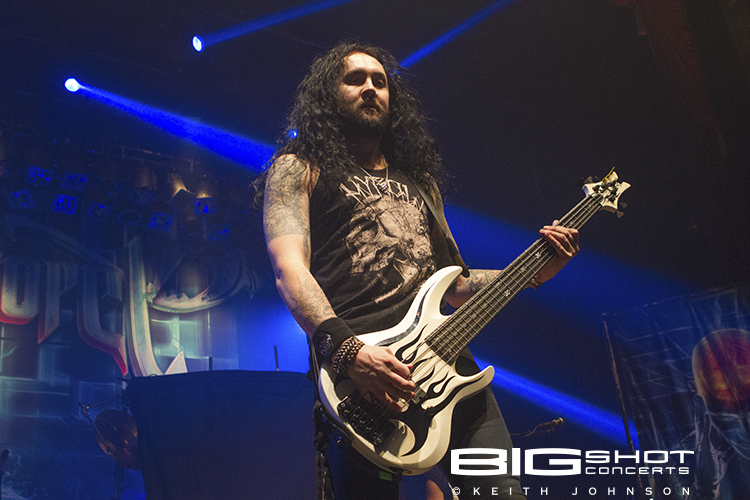 Bassist Sean Tibbetts manged the low end as his hair flew in every direction. Swedish singer Tommy Karevik led the charge and took center stage with commanding authority. 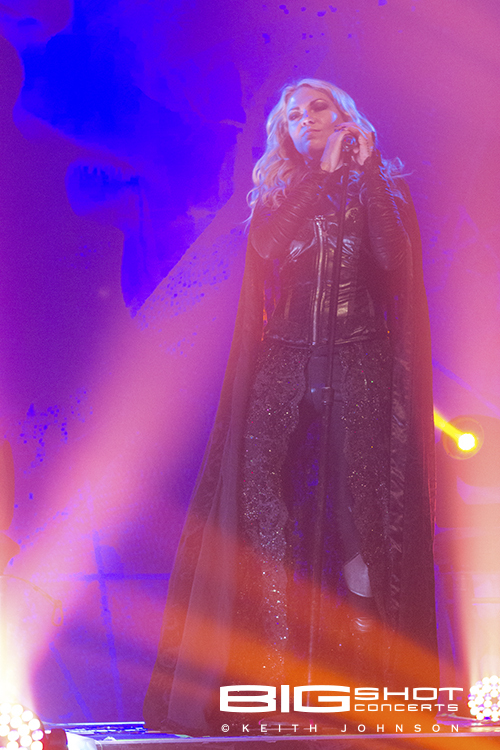 His vocal prowess proved that he is the rightful heir to the singing throne. 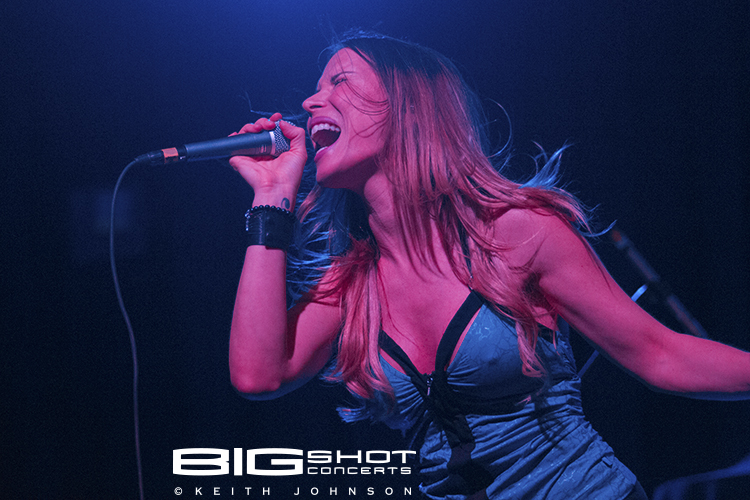 The feisty and spirited Kobra Paige delivered harmonizing background vocals that provided plenty of bite. 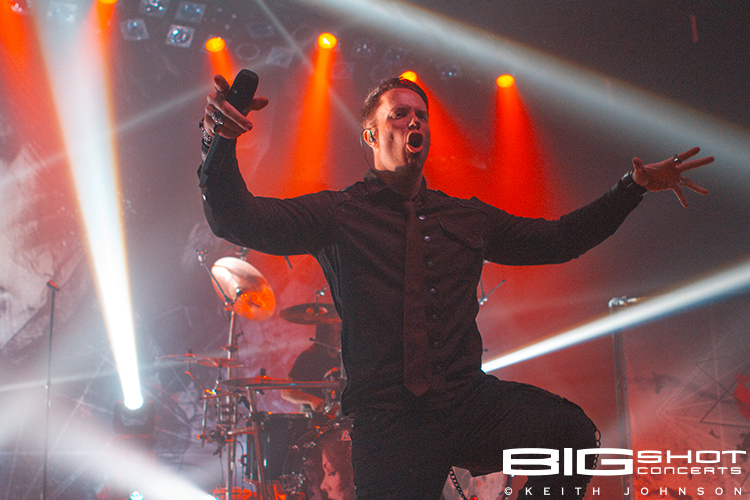 On the eve before a day of giving thanks, Kamelot’s performance gave everyone a reason to be thankful — and proved that in the realm of progressive metal, their live shows always reign supreme.